I suppose technically 'Bombay Talkie' [review]  isn't a Bollywood film. 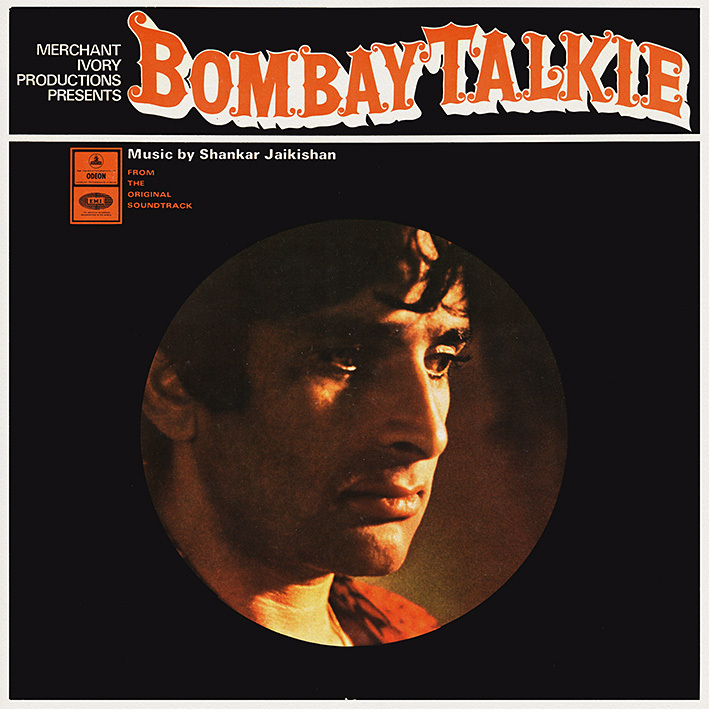 A US production, made by the subsequently world-renowned duo of Ismail Merchant and James Ivory, it nevertheless features several Indian star actors, deals with Bombay's film industry, and most importantly, is memorably scored by Shankar Jaikishan. Additionally, the soundtrack album was only released in India. So it definitely belongs on MFT3F. 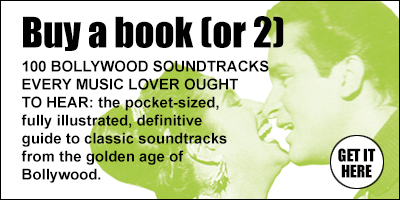 Many of the tracks are variations on the film’s lovely title music, done in an assortment of styles. 'Now I Shall Call You Ma' (sitar based) and 'Picnic In The Cave' (flute and harpsichord) are particularly pleasing, as well as loungy vocal version 'Good Times, Bad Times', sung by the deliciously smoky-voiced Usha Iyer (aka Usha Uthup). She also performs the two versions of 'Hari Om Tat Sat', charming in a nostalgic sort of way. A bit of an earworm to be honest. With its eye-catching on-screen set, 'Typewriter Tip, Tip, Tip' is the most famous song; an archetypal Shankar Jaikishan cabaret number. Music from the film was later used to good effect by Wes Anderson for his 2007 film 'The Darjeeling Limited'. 6. Now I Shall Call You "Ma"
Thanks, I've always wondered about this film, but have never seen it! Thanks M8, also i keep visiting your blog and i keep checking ya want list 'cause maybe i might find these gems in pakistan or elsewhere, but i noticed BOND 303 is not on the list anymore, did you finally got the soundtrack though? Yes, I found a copy a while ago. Nice Share Thank you PC , PC i just request to you please don't remove vinyl Hiss Sound . I remove clicks and crackle, not hiss. Hi PC, I hope you have the 1980's DAHSHAT ost by Bappi lahiri. Because i read somewhere in this blog that you remove some OST's that you don't want anymore. Anyways, I hope you have it. I never remove soundtracks, however DL links do automatically expire from lack of traffic. Well, I am scared that Dahshat isn't mentioned in your want list anymore. I really want your review of it. Ah, you were talking about the want list. Yes, that changes, and in regards to Dahshat it's because I've acquired a copy. But I can't as yet make any promises about when it'll appear on the blog. NOTE: If you're requesting a re-upload or a specific future soundtrack, please read the FAQ-page first, thank you.